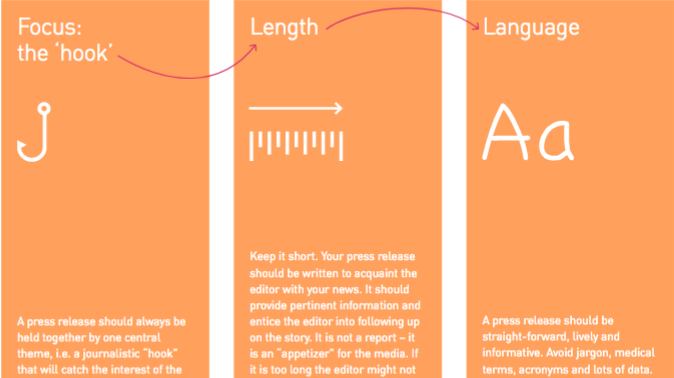 This document outlines the key elements of a press release and provides some advice for each of these. It also includes model press releases as case examples for inspiration. Use the document for guidance and inspiration whenever you need to develop a press release.